Moe Garahan is firmly dedicated to supporting good food in Ottawa, whether that’s the farmers and gardeners who grow it, the retailers who sell it, the restaurants which cook with it, or the agencies who collect it to feed the hungry. Ottawa has so many components of a Good Food city. With 1300+ farms within the City boundaries, including thousands of agricultural acres within the NCC Greenbelt, and a truly innovative culinary scene including new and established food processing businesses, restaurants and retailers, we have the opportunity for a truly, vibrant local food economy for residents and tourists alike. We also have a strong community of volunteers and agencies who care about people who are hungry and work towards getting good food to people in need. It is a community that is working hard to bring both food access and local food to the forefront. I am able to bike or bus from my house to the 150-acre Just Food Farm in Blackburn Hamlet that demonstrates a microcosm of cross-generational, cross-cultural communities working together to build a sustainable food and farming hub serving the region for decades to come. I am encouraged by the diversity of people who are a part of rebuilding the food system in the Ottawa region – on farms, in businesses, in community gardens, in schools, and in their homes. With 40,000+ people accessing food banks in Ottawa every month, we need to reduce food insecurity to zero. With the average age of farmers being 55+, we need more farmers to grow food. With growing pressures of development, climate change, and cost of food, we need to build soil in the city and also preserve farmland, to be able to grow food into the future. With the majority of seeds being imported annually into Canada, and many seed varieties being lost through commercialization, we need a regional seed bank. There are solutions for all of this. We need more people to know how to, and choose to, become part of them. I am proud of the food systems approach that the team at Just Food facilitates in Ottawa – focusing on strategic use of resources for long-term food and farm initiatives that impact thousands of people in Ottawa. Just Food has moved from a $20,000 initial project to celebrating 15 years this coming March with the following items to celebrate: supporting 94 community gardens with more growing all the time, 10 years of promoting Savour Ottawa and helping to build Ottawa as an agri-tourism and culinary destination, establishing the Start-Up Farm Program and OttawaKitchen.ca to incubate new farm and food businesses, establishing the Community Food Hub to decrease the cost of food purchases for agencies serving food to low-income residents, facilitating policy changes to allow more local food production on urban and NCC lands, establishing the Ottawa Food Policy Council…. some examples of long-term change a food systems approach brings. – That every child in all four School Boards visits a farm, is able to cook 5 great meals for themselves, gardens at the school, and has access to good food throughout the day to enable good learning (Keep an eye in early 2018 for the new Ottawa School Food Network’s program offerings). – That the New Roots project just started in 2017 grows and supports many New Canadians with agrarian backgrounds to connect to gardens and farmland in the Ottawa area. – That we strengthen a Food Community in Ottawa that supports every single neighbourhood having food skills workshops, community gardens, emergency food provision with good food, and places to eat, learn and act together. 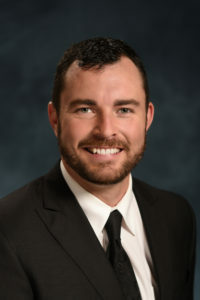 Jody Mitic is a respected Ottawa City Councillor representing Innes Ward, but that professional title only captures part of what makes his contributions to this community exemplary, because Jody served for twenty years in the Canadian Armed Forces, putting into action his belief in his country and in the idea of democracy. Jody lost both legs to a landmine on his third tour of duty in Afghanistan, and since that time he has not only worked fiercely to rehabilitate his own body – becoming a model of perseverance and courage to others living with injury and disability – but has acted as a champion for accessible communities and wounded veterans, raising significant funds and awareness through his speaking engagements, his books and his public leadership. Ottawa has become an incredibly special place for me since I moved here in 2007. Ever since my election to Ottawa City Council representing Innes Ward in 2014, that feeling has only grown stronger. Ottawa and the citizens of Innes Ward especially, have given me the opportunity to continue to serve my country, something I cherish everyday. I moved to Ottawa for my final posting in my military career. Consequently, Ottawa became the place where I settled down and started a family. Watching my two beautiful daughters grow up in a city that has so much to offer them is incredibly special. Without a doubt, I can say that it is the people of Ottawa who make this city such a great one. Everyday I see proof of the City’s strong sense of community, kindness and drive. I’m truly impressed by the residents of Innes Ward and the amount of effort they put in to making positive changes in our community – I’m sure my council colleagues would all say the same about their residents which really shows how great Ottawa is. I love that the feeling of team work is something we can still experience in a city as large as ours. Serving as an Ottawa City Councillor and as the City’s Sports Commissioner is very important to me because it is a way for me to continue serving my country after my military career came to an end a lot sooner than I had hoped. I consider municipal government especially important and meaningful because when something gets done, it has a direct impact on somebody’s day to day life. For example, I was recently able to make sure stools were installed in the lobby of the Blackburn Hamlet arena. This may seem like a trivial accomplishment to most but for the grandparents of the kids who play hockey at the arena, it means they can comfortably watch their grandkids play hockey without having to worry about their health and safety as they used to when they were sitting in the cold bleachers. One of my proudest moments as a Councillor for Innes Ward was the day I attended the opening ceremony for the Miracle Field of Ottawa – an accessible baseball field made possible by the incredible efforts of the Miracle League of Ottawa. I am no stranger to the woes of accessibility. Championing improvements to facilities to make sure everyone, no matter what, can access them is something that has been very important to me as an individual and now as a City Councillor. I am proud of the improvements that have been made so far but there is still a lot of work to be done. As mentioned, I hope that in the future improvements to accessibility continue to be made to ensure that anyone can enjoy the things that the City of Ottawa has to offer. As an elected official and as someone who fought for the principles and values of democracy, I hope to see an even more politically engaged population. Whether its more people seeking public office, more people heading to the polls on election day or more phones ringing in politician’s offices, its important that we all exercise the rights we have in this great country. 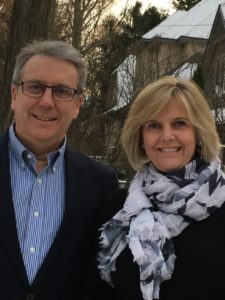 Dr. Douglas Cochen and Dr. Liisa Honey are partners in life, and partners in ensuring that Ottawa women have access to quality care in obstetrics & gynecology. Not only have they delivered thousands of babies at Queensway Carleton Hospital, they are also dedicated to ensuring that moms are healthy and well during their pregnancy journey and afterwards. Neither one of us grew up in Ottawa but we both came here to do our residency program in Obstetrics and Gynecology. This is where we met and married and now we call Ottawa home. Our kids have the privilege of growing up in a progressive city that offers unique cultural and outdoor activities. We take advantage of cross-country skiing in the winter and biking trails in the summer. Our teenagers have the ultimate independence with public transportation that allows them to safely navigate the city. The special thing about Ottawa is truly the people. Balance: Work-Play. Sports-Education. Opportunities-Challenges. Privacy-Community. Cosmopolitan-Hometown. The work that you do makes Ottawa a better place – why is this important to you? The west end of Ottawa is a growing vibrant community and we are lucky to work at the Queensway Carleton Hospital, the community hospital serving Manotick, Kanata, Nepean and area. We advocate for women’s health and access to quality obstetrical care and gynecologic services. Doug is leading the charge to develop electronic health records at the Queensway Carleton Hospital with 5 other hospital partners. Liisa has started a community of practice that brings together obstetrical providers from many other hospitals around Ottawa to facilitate and improve the quality of obstetrical care for Ottawa and the surrounding areas. We are very proud to be part of the growth of health care in the west end of Ottawa at the Queensway Carleton Hospital. This great hospital has given us the opportunity to develop quality care in the Maternal Newborn program. We have also been fortunate to facilitate the transformation of healthcare via adoption of technology. We both owe a sincere debt of gratitude to our patients, our colleagues, and the leadership of QCH. Our hope for Ottawa is that she continues to be enlightened, progressive, and inclusive. As many others have said, the people and the size of Ottawa make her wonderful. The unique opportunities for work, research, outdoor activities, and raising a family are the gems that surprise newcomers. We would like future Ottawans to be proud of their city! Kevin Keohane is firmly dedicated to ensuring that kids and their families in the Ottawa region have access to world-class health care, facilities and support. 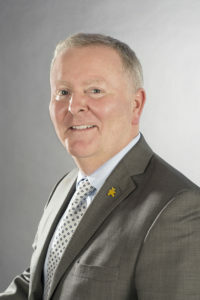 Kevin is President and CEO of the CHEO Foundation, working with the greater Ottawa community to raise funds to support CHEO, Roger Neilson House and the Ottawa Children’s Treatment Centre (OCTC). I love Ottawa. It’s home – always has been and always will be! It’s got an amazing mix of city and country folk who were born and raised in this area plus great people from across Canada and around the world who’ve chosen to make this there home. It’s a big metropolitan region that still possesses a lot of small town feel, characteristics and charm. While watching the news every night, I’m constantly reminded what a special place Ottawa is and I never take living here for granted. It’s that small town feeling throughout the region. It seems like everyone knows each other and to me Ottawa is better defined by its people than by its many incredible landmarks. The people are warm, welcoming and among the most caring and generous people you’ll find anywhere. There isn’t a day goes by at CHEO when acts of kindness and generosity are not making a huge difference for the kids and families of our community. I think it’s fair to say that we are a community with a sense of purpose, pride and many shared values and this makes it a great place to live, work and raise a family. To be honest, I never think of it in terms of the work “I do” but rather the work that “we do” as a team and as a community to make Ottawa a better place. I am so honoured to be part of a team that has the privilege of working with people and organizations in our community to provide the doctors, nurses and staff at CHEO, OCTC and Roger Neilson House with the tools, equipment and other supports they need to care for the kids and young families we serve. Our team is constantly surrounded and supported by people who want to help and it is important to everyone at the CHEO Foundation that we encourage these people to take pride in what they are doing, help them to understand the impact they are making and ensure they feel our genuine appreciation. This is what’s important to me and what is important to our entire team. Again, I see this through a different lens and I always feel as though my interaction with the community is giving to me rather than the other way around. I consider the CHEO Foundation and the Ottawa community to be one and the same. I truly believe the words community and foundation are interchangeable because the CHEO Foundation is the community’s expression of support for the children and young families in our region. The thing I am most proud of is that each and every member of our team is a donor to CHEO as are many of the doctors, nurses and staff who give generously to support the work they do together and to support the children they care for. The fact that we are all part of CHEO’s community of donors is what makes me so proud. I know it may sound cliché but each and every generation of children represents our future so it stands to reason that the better we take care of our children today, the better our future and their futures will be. For most of us, our children and grandchildren are the most important people in our lives and everything we do in life is done with their best interests in mind. When our kids and our grandchildren outgrow CHEO, I hope that all of us will keep in mind that there are thousands of young families who are now counting on us to help them care for their children. I also hope that everyone will continue to support CHEO and experience the fulfilment and satisfaction that comes along with making this vital and meaningful contribution to our community. 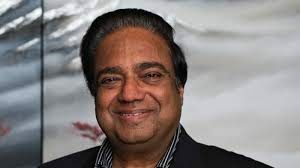 Cuckoo Kochar is quite literally helping to build a better Ottawa. As President and CEO of Phoenix Homes, Kochar has built communities across the National Capital Region, and funded a significant scholarship at Carleton University to support a new generation of engineers and architects. I have lived here for over 40 years, working with various Communities, building subdivisions that ultimately define this great City. It is where I raised my family, built my house, voted and campaigned for our political candidates, participated in debates and hopefully will retire here one day. Ottawa has everything a large metropolitan City has to offer but life here is akin to a small town. In spite of some peak time traffic discomforts, mostly we can traverse from point A to point B in less than 30 minutes. Yet we have some of the finest medical facilities in the world, great schools and universities and one of the lowest crime rates in Canada. The work that you do helps to make Ottawa a better place-why is this important to you? Simply because I live here. My family lives here. So I want to continue to see Ottawa evolve into a constantly better society. You give back to the Ottawa community in various ways-is there one Ottawa-related achievement of which you are most proud of? Education is extremely important to me and my family. I truly believe that it is the greatest wealth one will accumulate in their lifetime. It is a guaranteed way to raise yourself above the ordinary by seeking the highest possible education you can. I have set up a scholarship program at Carleton University that brings 5 students from India every year to do post graduate work in Engineering or Architecture. The only caveat being the students have to graduate in the top 10 percentile of their graduating class and come from a modest income family. The scholarship pays for everything including fees, boarding and lodging. All the students that came over since the inception 4 years ago have excelled at the University, making me very proud. 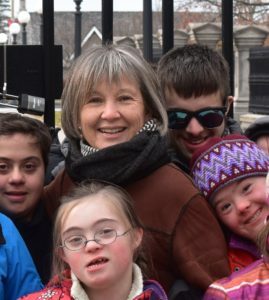 Barbara Roblin brings joy and learning to a very special group of Ottawa students. As the Director of Education for the DragonFly Programme, Barbara helps learners with Down Syndrome develop their math and literacy skills through dance and other dramatic arts. Ottawa is a unique city, a capital of the country with all the pomp and circumstance that entails, home to civil servants, high tech innovators, diverse ethnic groups and outdoor enthusiasts. This mix of ingredients creates a city with a point of view all its own. The many faces of Ottawa, its size, its snow, its proximity to the natural canvas of Ontario, make it a great place to live. I have lived in Ottawa for the last 30 years. In that time, I have been a teacher, a parent and co-founder of DragonFly, developing and delivering one-of-a-kind programmes for learners with Down syndrome. I have found the growing innovative climate of Ottawa, and its family-friendly size provides fertile ground to address the social change so necessary to keep Canada moving forward as a progressive global force. I believe that giving back to the community and being a force for positive change are the highest goals of individual freedom and choice. Our collective futures rest on our abilities to create equal access to good learning opportunities for all. Everybody deserves the chance to develop their full potential as a person, as a contributor to our economic prosperity, and as a citizen of Canada. I am proud of making a difference in the educational opportunities for individuals with atypical learning patterns. I am the co-founder and Director of Education of the DragonFly® programmes for learners with Down syndrome at The School of Dance. We create learning opportunities and offer effective, evidence-based academic and dance programs for this marginalized population. DragonFly supports families facing the challenges of raising an atypical child, supports teachers to create best practices in our schools, reaches out to new Canadians who have moved here believing is it the best opportunity for their child, and dialogues with our politicians, presenting them with a vision of how to make Ottawa and Canada a better place to live. As we move forward in this century, it is time to rethink institutions and their purpose, and to embrace change. I would love to see Ottawa become a hub for innovative, inclusive education theories and practices in Ontario and in Canada. Together we can create education for the 21st century and I would like to see Ottawa become a national and global leader in innovative educational programming. Tim Kluke has worked for years to ensure that Ottawa residents have access to exceptional medical care. 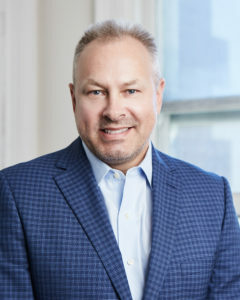 As President of the Ottawa Hospital Foundation, Tim leads a team which is raising funds to support innovative research and medicine, but also to build a new campus to replace the Civic Hospital, something which will dramatically alter Ottawa’s healthcare landscape for the better. Ottawa has so much to offer as a City and the proximity to the outdoors truly make it unique. Finishing a meeting in the City and just 45 minutes later be sitting on my dock on the Ottawa River outside of Renfrew is pretty special! The people. Ottawa residents are extremely caring and generous in supporting the many causes that help make our city great. Time and time again we witness citizens from all walks of life make an incredible impact with their philanthropy. I am very fortunate to represent the city’s most important health care provider; an organization that touches the lives of all residents of Ottawa and region. Access to world class health care at the Ottawa Hospital is something that makes living in Ottawa extraordinary. It is very rewarding to know the work that we do at The Ottawa Hospital Foundation helps save lives and change lives forever. I had the privilege of introducing Daniel Alfredsson as the face of mental health awareness, and seeing Ottawa play such an impactful role nationally in breaking down stigma was very gratifying. That we continue to be a world leader and provider of exceptional health care that is inspired by great research. 100 years ago, the community rallied and raised funds to build the existing Civic Hospital. Today, we are faced with a wonderful legacy opportunity in building a new hospital that will change the healthcare landscape for generations. This is our time to make an incredible difference. 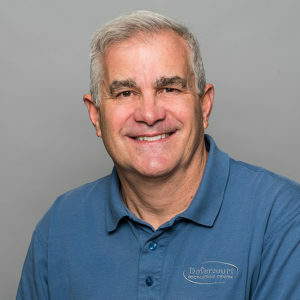 John Rapp is the Executive Director of Dovercourt Recreation Association, a community based charitable organization which runs Dovercourt Recreation Centre, one of Ottawa’s busiest, most innovative community centres. Dovercourt sees thousands of city residents of all ages, from all neighbourhoods and backgrounds, pass through its doors annually, and John is committed to ensuring that each and every one of those people feel part of a larger community when they do so. It is always home, born and raised here, so it always feels like putting on a favourite sweater when I come back. Comforting, familiar, and welcoming! I am constantly seeing people I know, after years of teaching in lifesaving, swimming, leadership, and in community work, every crowd seems to have a familiar face. Plus I love going in and out of both languages, which you can do in one conversation in Ottawa easily and nobody blinks. It really is a blessing to get to do work that you know makes a difference, not great world changing things, most of the time for individuals, so you can see the impact and see that you have helped. And to get to do that almost every day for every age and ability, priceless! At this point, it is in our alumni, former students or staff that have gone on to great things and surpassed their teacher, and of course, to see that my children are grown up to be good friends, good citizens and are caring and compassionate humans. That we never get so big that we stop treating each other like friends and neighbours, not just anonymous people passing by. Dwayne Brown and Anita Ruivo have an eye for detail, which is what makes them such successful partners at popular local photography business Dwayne Brown Studio. But it’s their most recent creative endeavour – the loveOttawa Project – that’s shows their passion for the city they call home. Ottawa is a truly unique city. We love photographing it from many different angles and celebrating its beautiful historic landmarks and varied architecture, the picturesque waterways that wrap around it and how nature literally resides in our backyards! We’ve always loved the cultural mix and the rich ethnic tapestry of our city. However, what truly makes it special are its people, who are kind, generous and always willing to lend a hand. Our loveOttawa project sheds light on the people, places, events and initiatives that make our city a special place, but how it’s contributed to the positive social change is something we are very proud of. Positive mindset is critical to helping a city as a whole move forward economically and socially. In a small, humble way, we believe our project as a whole has helped Ottawans be prouder of their city and to say wholeheartedly that they love Ottawa! Our hope is simple. We want to continue spreading the “Ottawa love” and wish for the rest of the world to learn what a special and beautiful city this is! 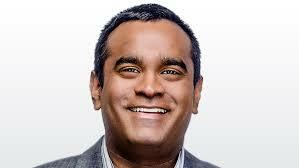 Ian Mendes is well known to sports fans throughout the city for the many years he has spent covering the Ottawa Senators, first as a longtime TV broadcaster and, more recently, as the popular co-host of The Drive on TSN Radio 1200. And while sports analysis dominates Ian’s professional life, he is also a dedicated community volunteer, someone who lends his time, energy, professional emcee abilities and social media following to help non-profit organizations in Ottawa raise money and awareness. I came to this city as a 17-year-old kid who had aspirations of becoming a sports journalist by enrolling in the journalism program at Carleton. Never in my wildest dreams would I have thought I would still be here more than 20 years later – with a wife, two kids and an amazing connection to this city. I may have been born in Mississauga, grown up in Vancouver, but Ottawa will always home for me. I love the fact that Ottawa is a big city, but maintains a real small-town feel. I’ve spent time in virtually every big city in North America and I can honestly say that Ottawa is probably the best place to raise a family. We have this cool mixture of big-city amenities, coupled with the feeling that our city is really safe. From a work perspective, I thoroughly enjoy the ability to cover an NHL hockey team in a passionate Canadian market. It makes your work feel that much more important. While the weather would probably be better in a place like South Florida or California, I couldn’t imagine being an NHL reporter outside of a Canadian market like Ottawa. It’s really important for me to use my media platform to help make our community a better place. Every week we’ve got tens of thousands people listening to us on the radio, plus I have a pretty decent-sized social media following. If I don’t use those platforms to help make our city better, then what’s the point? If you’ve got the opportunity to reach people with a positive message, then you should absolutely do it as much as possible. There are a bunch of things I try and do in the community on a regular basis. One thing I always emphasize is that when I’m hosting any sort of charitable event, I will never, ever ask for a payment or a fee for my services. It’s an honor to be able to use my skillset as a professional broadcaster to work as an emcee or host for a charitable organization. So to me, it’s counterproductive to ask for a fee from a charity for my services because that doesn’t count as charity work in my eyes. One thing I’ve really enjoyed is helping to serve as the annual emcee for the Capital City Condors golf tournament. Those kids are truly inspirational and any chance I have to help them out is an absolute privilege for me. I also make sure I take every opportunity to help out in any initiative involving CHEO, since our daughter underwent brain surgery there as a newborn. One thing we’re really focused on now is trying to do some behind-the-scenes volunteer work with our kids (aged 13 and 10) so that they can understand the importance of volunteering and giving time in this community. I want our kids to understand that we don’t to charitable work to get recognition or social media likes; we do it because it’s the right thing to do. So I’m really going to focus on that moving forward. I also really enjoy doing regular visits to high schools and speaking to students about career choices and how to chase their ideal job. My hope is that Ottawa continues to trend in this direction, where we are no longer thought of as a boring, government town. We have so many exciting new restaurants, bars and unique stores, that the perception of Ottawa is really changing. My hope is that we can continue to build on that and have our city defined by creativity and innovation – rather than be thought of us the town that fun forgot.